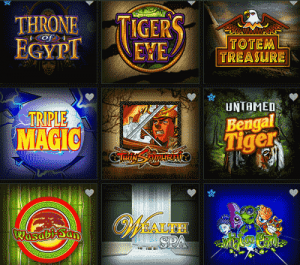 It is interesting to see what the casinos come up with next when they introduce new slot machines into their casinos. Of course everyone usually looks at what the bonus round does when you land on it but I am always drawn to the payouts. Don’t get me wrong, I like the bonus rounds just as much as the next guy but if payouts are slim I am really not interested in playing. Lately we have seen ones that remind you of honeycombs and in the bonus it will reveal cash until you hit a stop icon. I found this game not to pay that well for the period of time I played. I prefer seeing ones that whole reels turn wild which they have added some of these machines. Whatever you fancy you will be able to find sometimes pretty similar and payouts can be quite large. Remember that they are only as big as what you want to bet. You see a person winning a large amount, odds are they bet a large amount to win that. Playing for pennies rarely nets a large profit but you can earn a few hundred. Bitcoin is now a new method to purchase at casinos or webwallets that fund them, which it is nice to have a new method to purchase with.